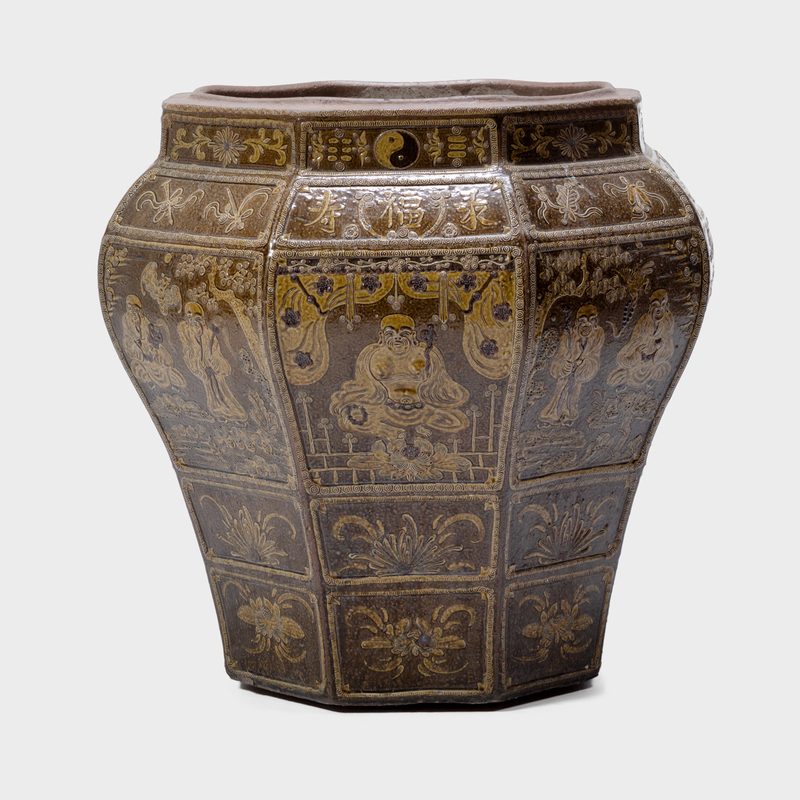 Leaving this grandly scaled urn unglazed, the Qing-dynasty craftsman who crafted it chose instead to draw attention to the surface decoration. 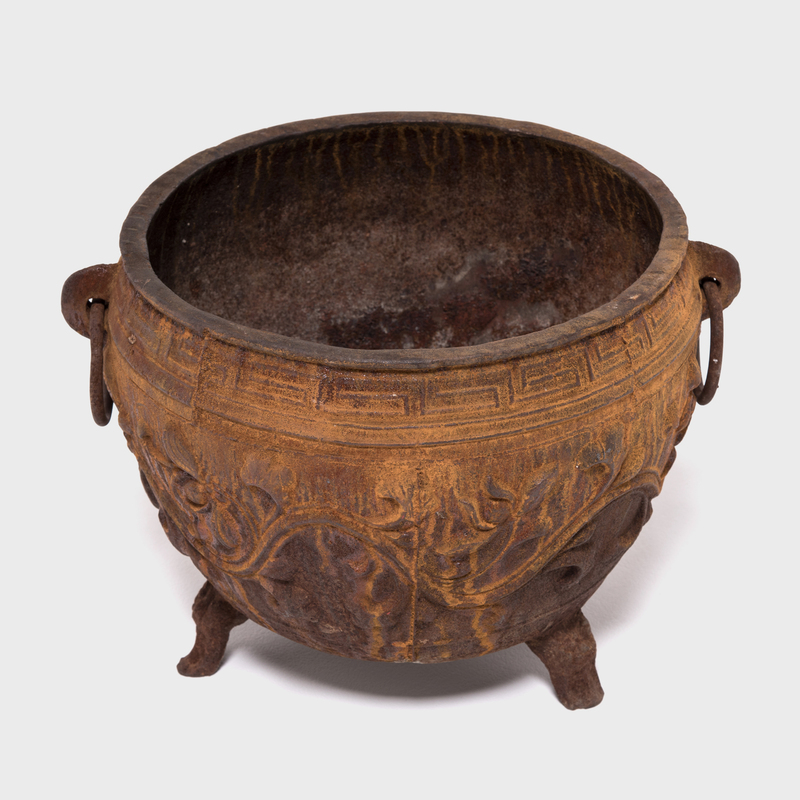 Skillfully modeled floral motifs stand in high relief, casting shape-enhancing shadows on the vessel’s surface. 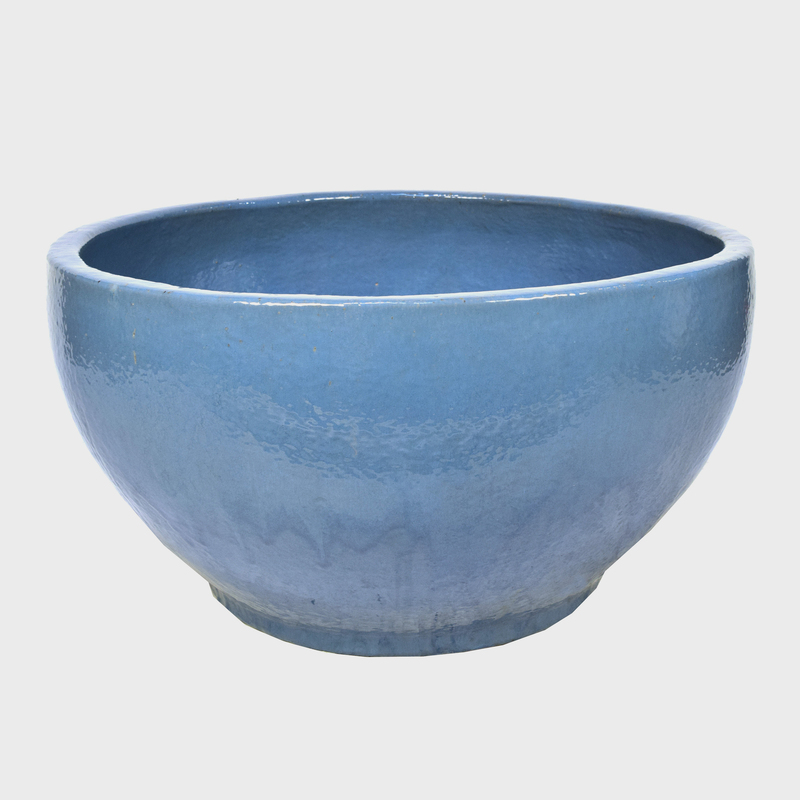 Raised decorations under the rim also define its gently curved silhouette. 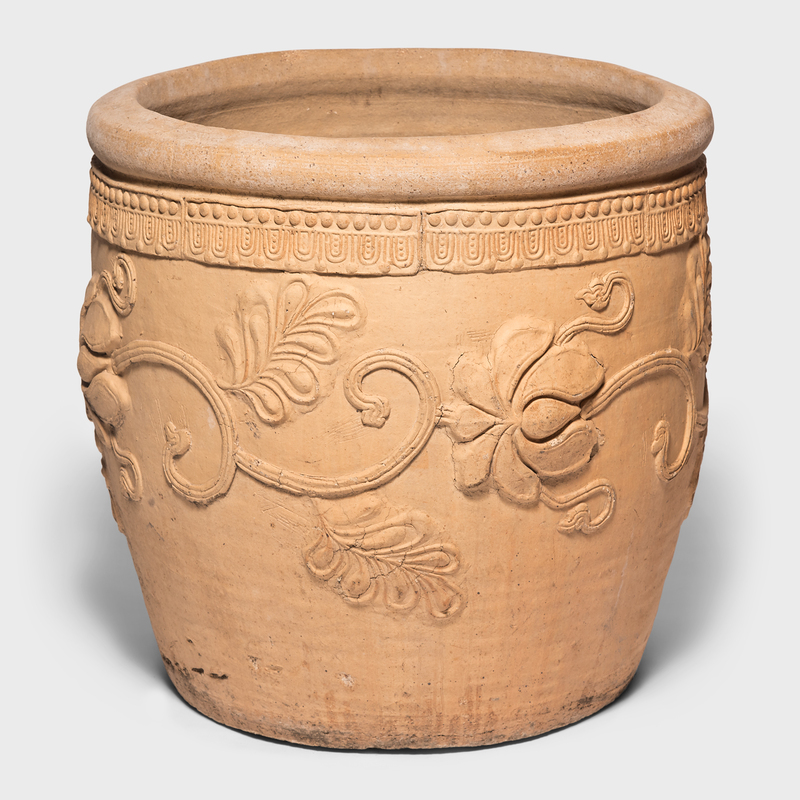 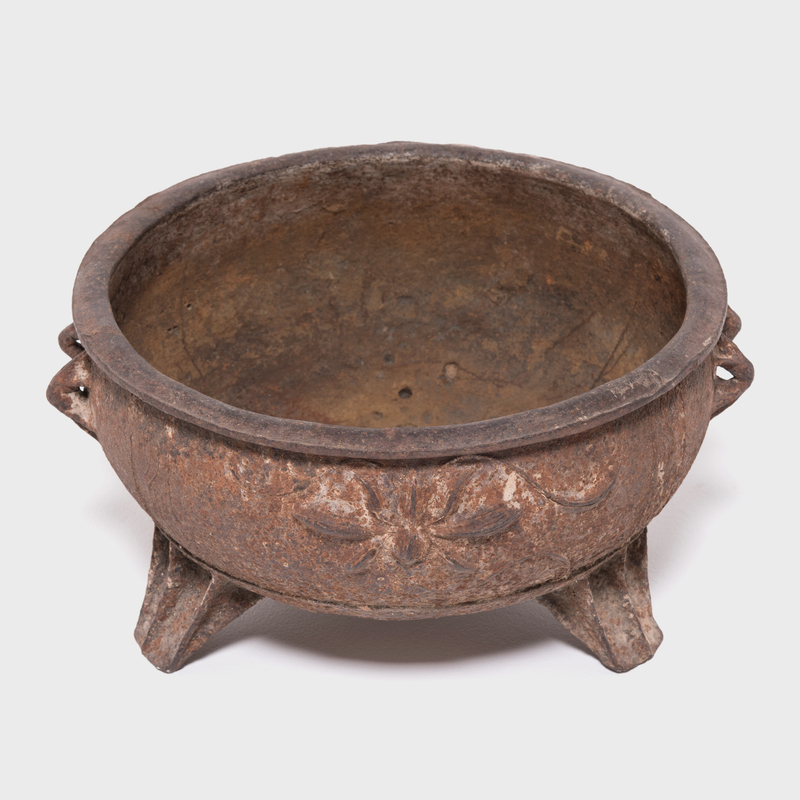 Likely used for kitchen storage, the container would look lovely nestled in a garden filled with plants or as a water feature.